Large egg hunt with T-rex dinosaur eggs. 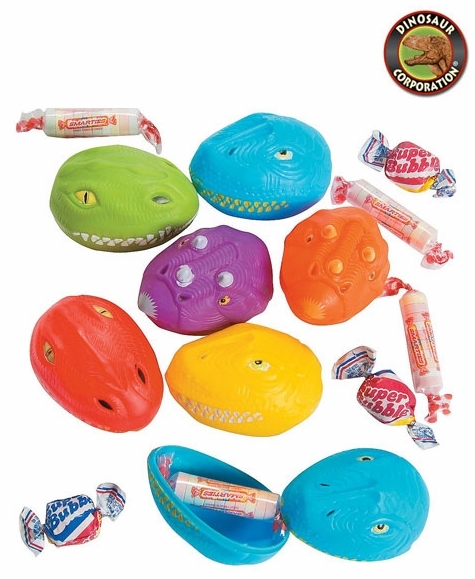 T-rex, Triceratops and Brachiosaurus eggs are filled with candy including Jelly Bean Werks, Smarties� and Super Bubble� Gum. * Size: 2 1/2 inch (6.4 cm) eggs.